It has been a while since I last tested truly inexpensive, small portable radios and I was curious to see if the state of the art has improved over the past few years. For this report I chose three radios all of which cost $21 or less delivered to your door as of this writing (2014). All run on 2 AA batteries or an AC adapter which is not supplied. 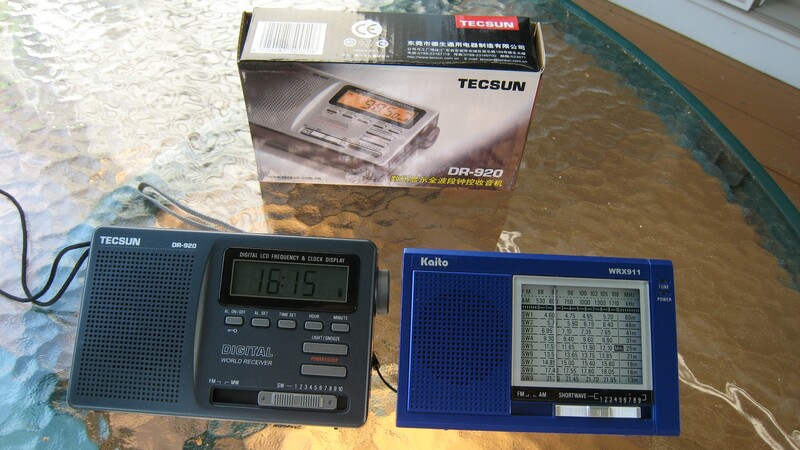 The Tecsun DR-920 with its $20 price tag seemed intriguing…it is analog-tuned with a digital readout and has a ten position band selector switch covering FM from 76 – 108 MHz, MW/AM from 525 – 1610 KHz and SW from 3-9 – 21.85 MHz in the following ranges: (Note: My sample extended further out one each band so I was, for example, able to tune in WWV at 15 MHZ on SW8, while the AM band reached about 1645). You also get an alarm clock, sleep timer, lighted display, earphone and DC input jacks for a 3 volt DC adapter (not supplied), cloth carry pouch and an English owner’s manual. The DR-920 runs on two AA batteries and is approximately 5″ x 3″ x 1″. 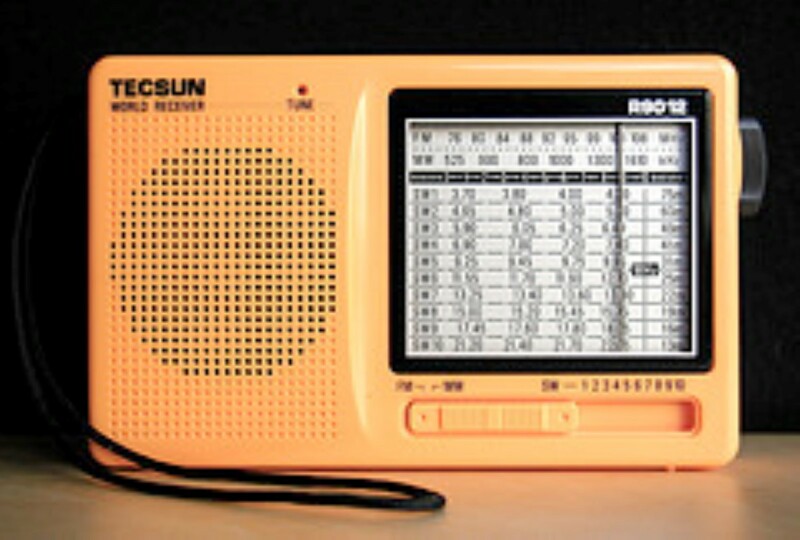 The Tecsun R-202 is AM/FM Only (Not to be confused with the R-202T which adds the now defunct VHV TV Audio Band) and costs about $12-14 delivered. OK. So these are all cute little radios, but how do they perform? As you might expect they are not the last word in performance, but they do have application in situations where you can’t tote along a larger radio or where you want a disposable radio in case of damage or loss…backpacking or spending a day at the beach come to mind as possible uses of such portables. So even though one doesn’t expect great performance, it is useful to know how they compare so you can make the best choice. Two more caveats – it is reasonable to expect noticeable unit-to-unit variations in such radios, and also, these radios usually benefit from being held in the hand…your hand capacitance lets you become part of the antenna and ground for such small radios to the extent that sometimes a weak station will boom in while you’re holding the radio but fade to nothing when you put it down. This is highly variable but it happened on some (not all) signals with all three radios so you can expect to experience some of this effect. 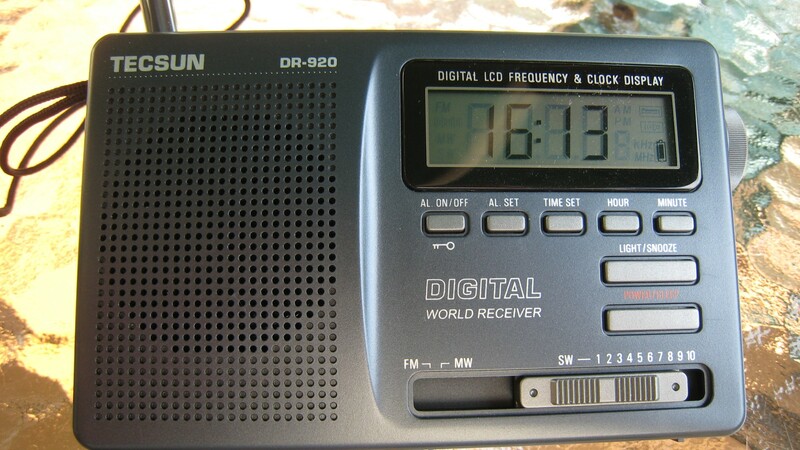 The DR-920 is the only one of this group that features digital readout and there is no escaping the fact that this is a big advantage, especially given the crude dial accuracy on the other all-analog models (and other such small analog radios I’ve tested in the past). Also on the plus side is it somewhat less finicky to tune in precisely than many such radios of the past…a welcome improvement. Regardless of band I was able to tune to a specific frequency with relative ease, keeping in mind that any analog radio with a digital display does require some precise tuning unlike true digital radios, but you do get the benefits of analog tuning such as continuous fine tuning and no muting or chuffing as you tune. On the minus side the DR-920, as you might expect, is not a very sensitive or selective radio. The all analog radios edged it out on AM performance on most signals…perhaps the digital display added to the noise or possibly money spent adding the digital display meant compromises had to be made in other areas of performance. The R-909 out-pulled the DR-920 on AM, rather noticeably on some signals, but fell short on SW where it was noticeably inferior to the DR-920. However the R-909 had somewhat fuller and richer audio quality on all bands…by comparison in my notes on the DR-920 I commented that it sounded tinny and sometimes hissy by comparison. The R-909 always matched or beat the others on AM and was the clear AM winner overall. The incredibly inexpensive R-202 lacks shortwave but did OK on AM where it beat the DR-920 on 4 out of 5 test stations but lost to it on one. It came close to the R-909 on AM but didn’t quite match it. FM was marginal on all three radios, missing some signals which are easily receivable on a typical $50 portable radio. And the R-202 had so many false images on FM that it was hard to receive many otherwise receivable signals clearly. The R-202 was the obvious loser on FM with the other 2 being adequate for non-critical FM reception. Reality Check: To be able to reference the performance of these radios with a long-time favorite I compared it with the long-available, similarly-priced and sized Kaito WRX-911. The Kaito was able to pull in more signals than the DR-920 on all SW and AM bands. The difference was clear…a barely detectable trace of a signal on the DR-920 was a listenable station on the WRX-911. I must point out again that the dial calibration on small analog radios like the WRX-911 is crude at best and will vary from sample to sample and band to band. For example when comparing them on WWV at 15 MHz I had to tune the Kaito to 14.80 to find it. Still…once you learn the calibration of your particular radio you may be able to live with it…for me the ultimate reception is more important and the DR-920 just doesn’t compete. The R-909 and R-202 fared slightly better against the WRX-11 but the WRX was still the winner overall. Inveterate “tweakers” have documented that they have been able to touch up the dial calibration on their WRX 911’s but I tend to avoid partial tweaks such as these…usually if I don’t have enough to info to do a complete alignment I prefer to leave well enough alone, because you may improve dial accuracy at the expense of sensitivity. One more entry in this size/price class is the Tecsun R-9012…about $22 delivered and sometimes available in a eye-popping yellow. I didn’t test it specifically for this report but its overall performance is similar to the WRX-911. Finally, if you spend a bit more, say $40-$60 for a small true digital portable with DSP you will get FM that is in a totally different realm…today’s DSP portables offer breakthrough performance on FM, and their AM and SW will also be much better than these $25 and under radios…no surprise really. Recommendations: Overall the current crop of $21 and under radios was not impressive. I recommend them only for situations where even a slightly larger or more expensive radio might be at risk. 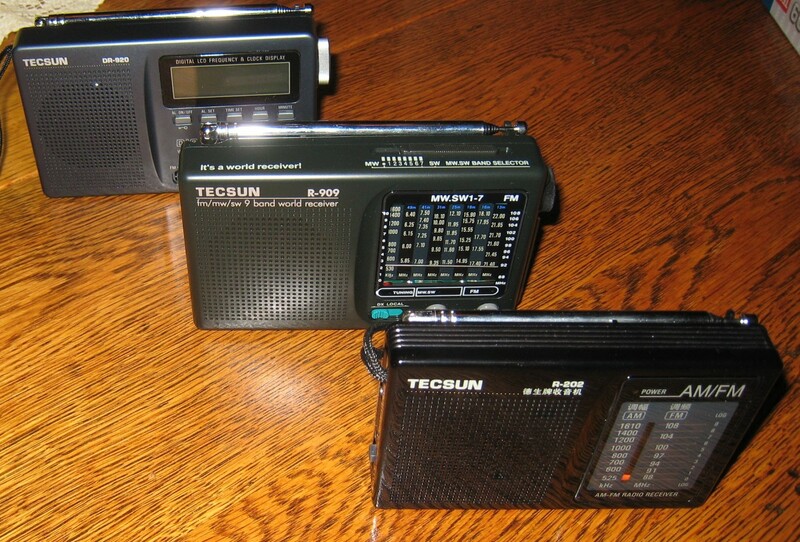 The Tecsun PL-210 is the same size as these radios and offers true digital operation and decent overall performance, and the Tecsun PL-310, while a bit larger, brings you to an even higher level of performance in all areas and is currently selling for $45-$50 which makes it a real bargain. Also the Grundig G8 has been on sale lately for under $40…that would be a big step up as well, especially on FM. The prime feature of these three $21 and under radios seems to be their disposability…other than that I’m afraid to say they don’t have much to offer. Finally, if you only want AM/FM and don’t need shortwave, the top Pocket Portables will outperform the R-202.